Best Bodybuilding Food List | Liveinfo360 | Step By Step Guiding! Ready to get serious about your muscle building diet? 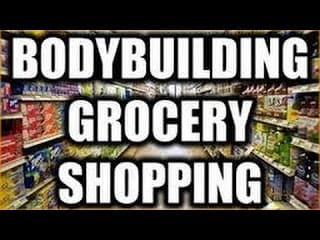 I will tell you which protein, carbohydrates, and fats to buy, and which one to avoid. Below I’m going to list all the foods that should be in your shopping cart and the ones that shouldn’t.This doesn’t mean that you can’t have cheat meal from time to time but sticking with the good foods will help you reach your goal a lot faster than later. Liquid White Eggs: This is just pure egg whites.More convenient than cracking all the eggs and discarding the yolk but will cost you a little more. Canned tuna: Lean inexpensive fish.If you worry about your sodium you might want to cut down on this.Make sure you get the one in water, not in oil. Skinless Chicken Breast: Lean inexpensive high-quality protein, the staple of every diet. Wild Salmon: Healthy fatty fish.I get my salmon wild because the quality is a lot better but the results in a higher cost. Cottage Cheese: a Slow digesting form of protein.Great for having when you have to go to a long time in-between meals and also excellent to have before bedtime. Lean Ground Beef: Make sure you get something that is at least 90% lean.This can be a great off-source of protein. Buffalo: lean Red meat, very tasty but super expensive.Give it a try. Lean ground turkey: Lean high-quality protein.Little more expensive than chicken breast. Skinned Chicken: The skin just adds extra fat that you don’t need. Breaded Chicken: The bread crumbs adds simple carbs that you don’t need. Bacon: Too fatty, but so tasty, I love this food but it is not best for you. Farmed Fish: Have more cancer causing agents, Less omega 3’s than wild fish, recent studies show that the farm raised fish’s fat is very unhealthy. Fatty ground beef: Any ground beef that is below 85% is too fatty for me.Yes, they make tasty burgers or meatballs but that amount of fat is just too high to have on a regular basis. Oatmeal: I like the slow cooked version but the quick one minute is fine.I have oatmeal with my first meal every day.It is a great slow digesting carb. Fruit: All Fruits are great, but some are better than the other for a different reason.Blueberries are at the top of the list for antioxidants and Banana are great for post-workout carbs.The majority of they digest faster than complex carbs, so they’re the best used in AM or pre and post-workout. Vegetables: Like fruit, you really can’t go wrong when eating veggies.During the off-season, all veggies are great to have but when you are looking to diet I stick with just the green ones as they have fewer calories and net carbs.Veggies are a great source of fiber.Try to have some in every meal. Sweet Potato/yams: Tasty slow digesting carb.Add a little Splenda and you will be in heaven. Brown Rice: Staple of a slow digesting carb. White Rice: Faster digesting carb.Not a big fan as I think the brown rice is better to check the difference in between both Kinds of Rice.But white rice is good to have in the off-season as it gives you the ability to bring in the carbs and calories need to grow. Whole Wheat Bread: I like to have Ezekiel bread as it is not processed and not made with white flour.Great slow digesting carb. Cereal: Most cereals today are loaded with sugar.Oatmeal is better option add some blueberries and Splenda to it and I promise it will be as sweet as you need on top of that you will be getting a much healthier carb source. Chips: Loaded with simple carbs and bad fats. Ice Cream: Loaded with Sugar. Soda: Diet version is fine but the regular stuff is just sugar water. Olive/Flaxseed Oil: Great Source of fat.Great to add to dishes. Fish Oil: Staple source healthy fats. Almond Butter: Derived from the nuts but a good source of fat. Almond: Great source of fat and the small amount of protein. Walnut: Great source of fat and the small amount of protein. Cashew: Great Source of fat and the small amount of protein. Avacado: Healthy fat source.I usually drink juice. Fried Stuff: I know the government is making restaurants get rid of making saturated and trans fats in fried foods but you should still just stay away from fried food. Butter: Not healthy to add to the bread.Add oil instead. Palm Oil And Coconut Oil: Not Healthy fat source. If you like this post then also check High Protein Foods.